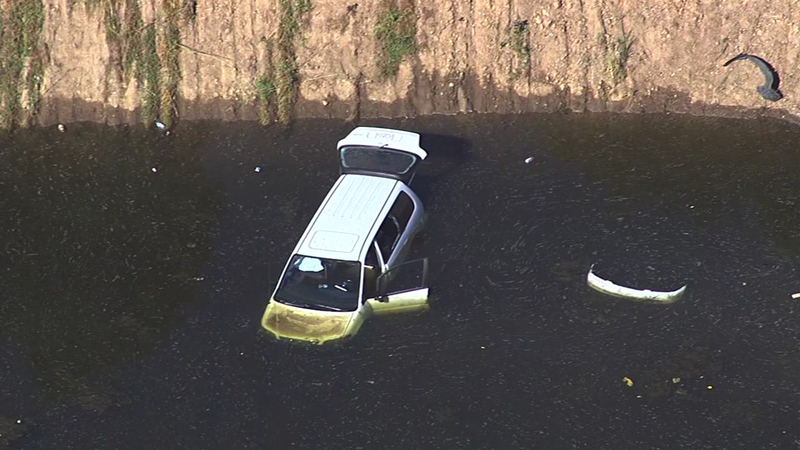 SAN JOSE -- A man was found dead in a car that ended up in a pond in San Jose this morning, police said. Officers responded to a report of a car that drove into a pond near Berryessa Road and Morrill Avenue around 7:30 a.m., police said. Arriving officers found a man who was pronounced dead at the scene, according to police. A dive team from the Santa Clara County Sheriff's Office was sent out to search for any other victims at the bottom of the pond, police said. Anyone with information on the incident is asked to call the Police Department's traffic investigation unit at (408) 277-4654.